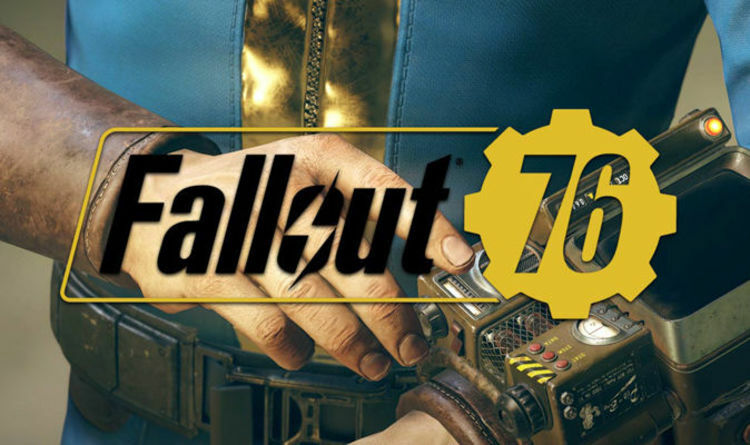 Reassembly Required quest in Fallout 76 will give you a task to upgrade the Scorched Detectors in The Mire. You will automatically open this quest after you’ve completed the previous quest, Early Warnings. So, let’s start the quest! After accepting the quest, you need to listen to Abbie’s latest instructions. 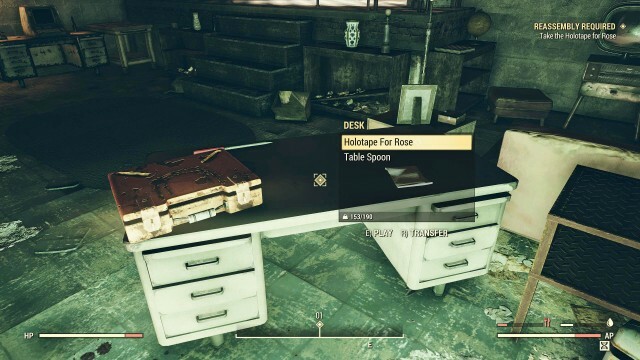 She will ask you to grab the Holotape for Rose out of her desk in the main room of her bunker, which will be used later in the quest. Now it is time for you to head out into The Mire and repair five Scorched Detectors using those Upgraded Motors. 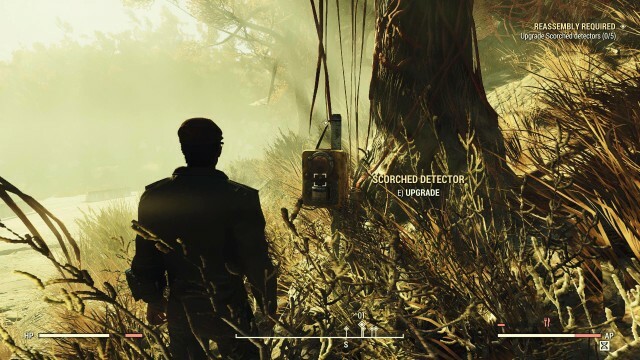 The detectors are located at five locations along the main road through the Mire, so keep walking and keeping an eye out for them on the side of the road. 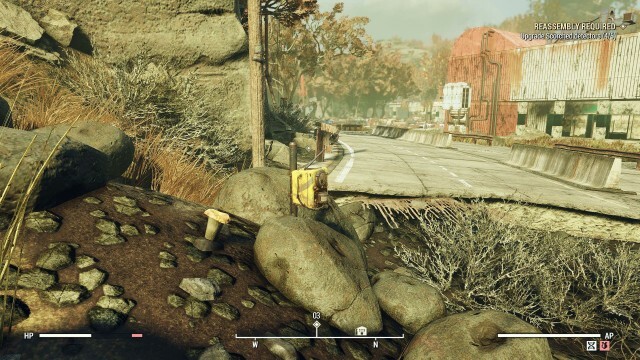 Groups of Super Mutants, Feral Ghouls, and Scorched Wanderers will bother you as you make your way down the road, so be sure to bring along some healing items. 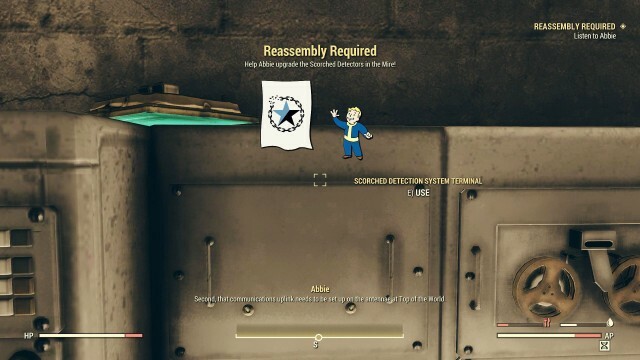 After upgrading all the five Scorched Detectors, you will be instructed to give that holotape to Rose. Walk to Top of the World and head up to the third floor so you can speak to her. You will give her the uplink from earlier, then she will tell you to head back to Abbie’s Bunker for your next task. 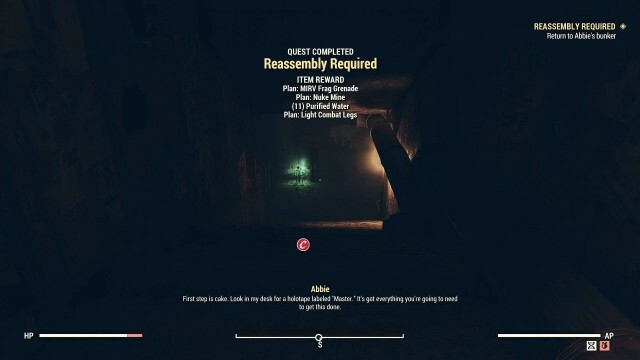 Once you’ve returned to Abbie’s Bunker, you will get a quest complete message for Reassembly Required, and also will be given the next quest, Coming to Fruition.